telephone, e-mail, or in person. • Using technology to create customer closeness. • Winning loyalty points by taking service initiative. • Understanding customers’ core concerns. 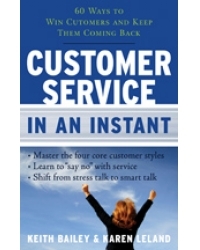 • Learning the most powerful two sentences in customer service. work life more efficient, effective, and satisfying. and Oprah. She lives in San Rafael, California.